After losing numerous lawsuits in its fight against the Westside subway, Beverly Hills took another one on the chin—the feds granted the rail project another $1.6 billion in grants and loans this week. The announcement from U.S. Transportation Secretary Anthony Foxx ensures funding for the Purple Line extension’s second phase to Century City and inoculates it from a transit-averse Republican administration. 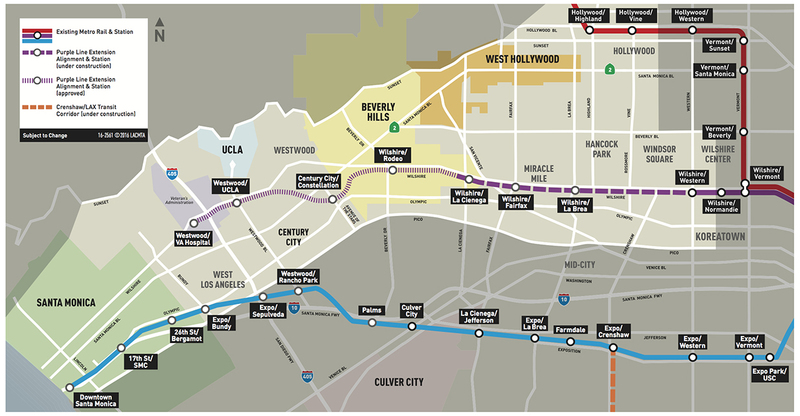 An extension to Wilshire and La Cienega opens in 2023, while the Century City phase will be up and running in 2026 or earlier (a third phase will bring it to Westwood). While almost everyone in L.A. County cheered the latest cash infusion, many in Beverly Hills grimaced. The city and its school district have spent $10 million trying to alter the course of the subway. City officials have been apoplectic for years over the placement of the Century City station, which will sit at the intersection of Constellation and Avenue of the Stars. Having the stop there means the subway will need to travel under Beverly Hills High School, which has been a bizarre red line for 90210. The city wants the station on Santa Monica Boulevard—abutting a golf course—so it won’t have to go under the school. Metro’s studies said a stop on SMB would put it in the crosshairs of too many earthquake fault lines, not to mention make it harder for commuters to actually reach the towers of Century City. 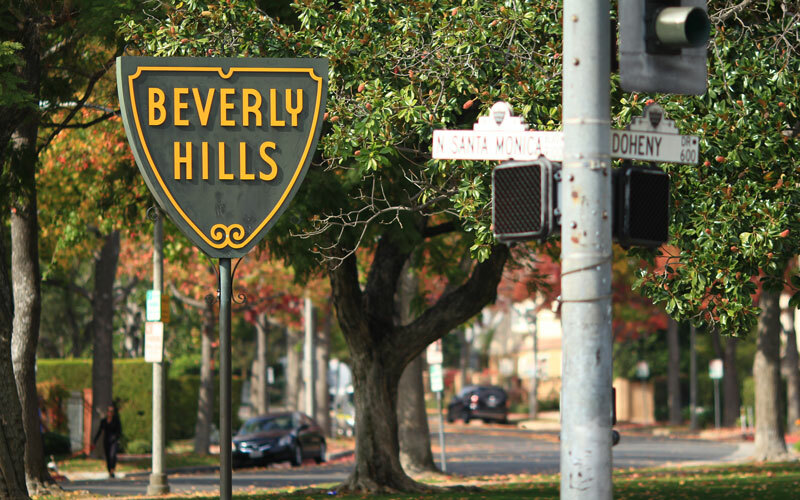 Beverly Hills sued and sued again. They lost in L.A. County Superior Court and then filed a federal lawsuit. They initially lost there, but then a judge ruled last year that Metro must provide more information on why they chose Constellation over SMB, and the effects of construction on air quality and BHHS. Beverly Hills officials wanted construction stopped while the info was gathered, but a U.S. District Court judge ruled against that request, saying it would throw off the whole project’s construction schedule and risk federal funding; that allowed the big deposit from Uncle Sam that arrived on Tuesday. Metro, meanwhile, plans to have its new reports finished by the spring. After a battle that’s stretched nearly a decade, it’s still not clear why Beverly Hills is so worked up over having a train line cross under a small section of its high school. Los Angeles already has train lines operating under schools (in East L.A.) and a pep rally has yet to collapse into the Earth. There have been claims that terrorists would attack the subway tunnel underneath the school. Others have whispered that officials are worried they won’t be able to build more underground parking. Whatever the reason, let’s hope this is the end of Beverly Hills’ hissy fit. They, and other Westsiders, helped halt the subway’s westward expansion in the 1980s. Back then, many folks didn’t even pretend safety concerns were the cause for their resistance; they just didn’t want transit-dependent Eastsiders roaming their gilded streets. Even if people are now more polite about their motivations, rich neighborhoods waging expensive battles against public transit in L.A. remains a questionable and disturbing endeavor. Next articleChef Marcel Vigneron Shares His 10 Favorite Dishes in L.A.